Guys, this is 4th day i'm in Krabi now. Further extend to Admin statement, Krabi (Ao Nang) is back to normal already. The weather on 3rd April 2011 is hot and sunshine day. Here to attach with photos to more convincing. I've participate 4 island hopping today. The scenery is nice and definite will not regret. superb post ahpek99 can't wait to reach there btw, any news on the road condition yet? Hi Neuvo, we rent a 7 seater car to travel Tiger Caves and Emerald pool, we have no problem on road closure due to flooding incident. Hence, if you have a group of 6 people, you can rent a car is better idea. cool bro! thanks for the tips though we decide to take flight to bangkok since there are no guarantee that the road in surat thani can recover anytime soon. I'll upload some photos if someone could teach me how to do so. I will go there on 12th April 2011 and stay at Aonang Buri Resort , this hotel is at nopparattara Beach . Is this place still flooding ??? anyone can help me ? a little bit out of topic, how much do u think i'd spend for a 5D4N trip in krabi? Thanks for the "eye witness" report :-) Unfortunately you can't upload pictures directly to our site, you will need to upload them to your web host (e.g. Flickr, Photo Bucket, Facebook etc.) then post a link to them, between img tags like this [ img ] link [ / img ] (leave out the spaces) so they show up in your post. Hope you are enjoying your stay! Still lovely, warm and sunny here people! 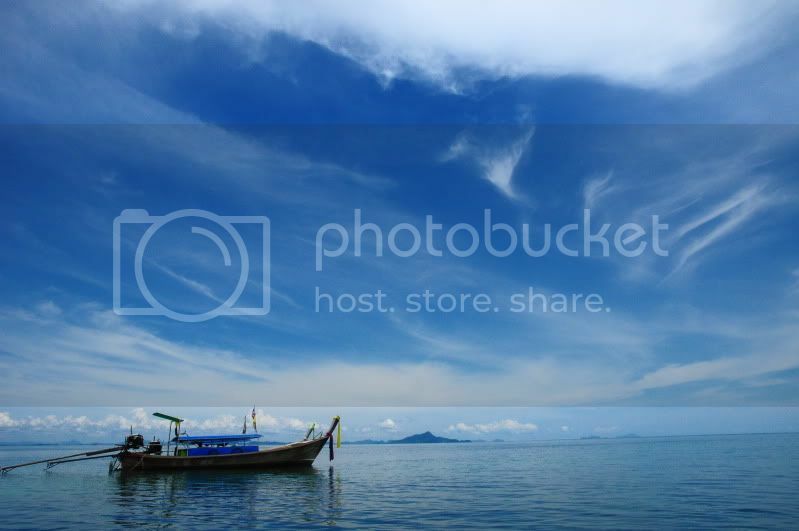 I've walk along ao nang beach and nopparat thara beach. There is no flood at this area/beach. Previously i've survey on Aree Tara hotel which located at nopparat beach, i just pass by this hotel 2 days ago. They are operating as normal in fact. 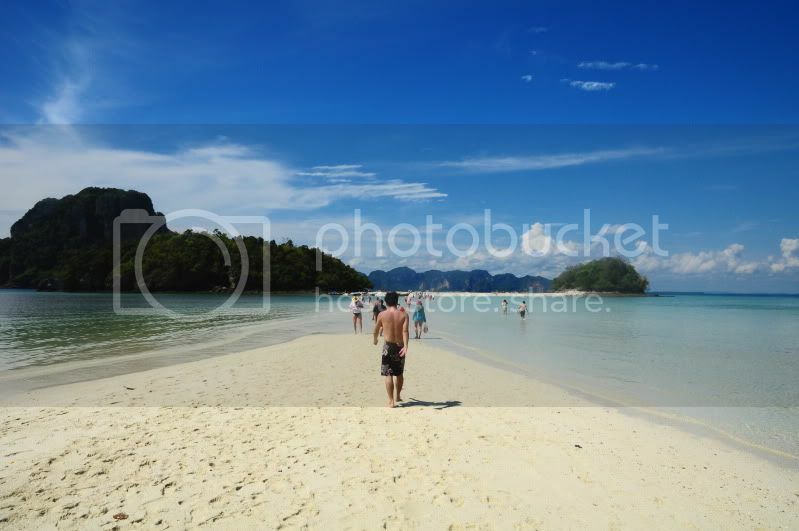 No worries if you decide to stay in Ao Nang beach or Nopparat Thara beach. Hi Mei Kee, my 6D5N expenses is around RM1100 (11000 Baht) for inclusive of accomodation, island hopping/kayaking, all transportation, foods/drinks/miscellanous expenses. Do more reseach in advance will save you some money for others activities. I will be going to krabi from 17th-22nd april,do you think everything will be fine by then? weather wise. are all the activities can be done? like river rafting,atv riding,elephant trekking? and i intend to bring some clothes as donations for the flood victims,any specific place to send the donations item to? Hi, I will b going next week.. It's during the Thai new year.. Will the shops be opened as usual? Hows the celebration over there like? Had a lot of fun there! how's the weather now in Krabi? i'm going there on 27 April. Is it raining everyday? The weather is great, hot, and sunny. Low season is approaching so its not as busy, the prices come down....ok maybe the occasional thunder storm....Much better IMO. Does that mean that there isn't anymore flood??? I was thinking of Island Hopping. Where would you guys suggest? I'll be staying in Aonang Beach. Hai guyz, very happy to hear krabi is recovered , i almost cancelled my trip,dear adminstr,is every thing will be normal by end of the month can u update all of us from time to time?guyz whom just comeback from krabi pls update too. Hi guyz, made arrangement earlier in Mar for my visit on 08th May '11 & will be staying at Krabi La Playa. Glad to know that things going well there (back to norm). Can anyone assist / advise on "HALAL" food as we are Moslems. Cheers. Krabi from 17-20 Apr. Sunny in the morning; great for island hopping & snorkle. Late afternoons humid, cloudy and light rain, Restaurants, shops, pubs and road-side stalls aplenty. Saw many muslims (headscarfs as cue) enjoying their meals by the roadside. Kentucky, Macs, 7 Eleven, supermarkets all within walking distance in Ao Nang.